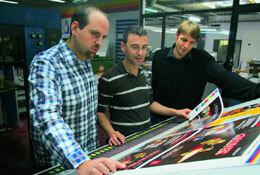 Printing according to established ISO standards is a benefit for both the print producer and the media buyer. We call it SPP (Standardised Print Production). Some just call it clever. Certified printers who renew their certificates, experience a more streamlined print production workflow, consistent high quality, and a greater degree of satisfaction from both customers and staff. 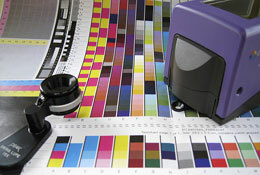 Successful implementation of ISO 12647-2 includes proper file preparation and applied colour management. Spectral measurements and visual inspections ensure final quality. The Ghent Workgroup turns ten years old this year. We look at its latest developments. 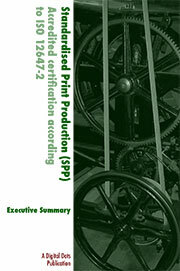 The final part of our series helping printers to implement ISO 12647-2 covers quality assurance. Over the last few years we have been heavily involved in standards work, working internationally with ISO and with print federations in both Sweden and the UK. We provide bespoke consulting services to assist companies in understanding and implementing ISO standards, such as the ISO 12647 series for print process control, the PDF-X series for production file processing and standards related to the environmental impact of print. Based on our work in standards development and certification procedures, we have produced a series of guides for implementing ISO 12647-2. The guides are intended to ensure that any implementation of ISO 12647-2 will be robust enough to achieve formal certification by an industry body such as the BPIF in the UK, the Swedish Printers’ Federation, or Fogra and UGRA in Germany, Switzerland and beyond. The Digital Dots Standardised Print Production (SPP) guides explain what printers and print buyers need to know and do in order to use the ISO 12647-2 standard for offset lithography process control. There are four parts to the series addressing different parts of the standard and designed for use by different users: prepress, press, quality assurance and the executive summary which is for the people who are more interested in the financial return, than the technology. 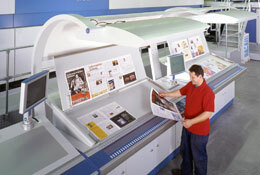 Each includes summaries of what guidelines and requirements mean for print producers and print buyers. 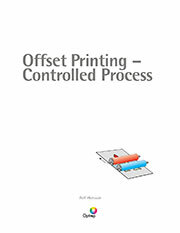 The new handbook for printers, technical management and graphic arts educators.